Select the entire drawing, or a part of it. Paste them into your MS Word document. 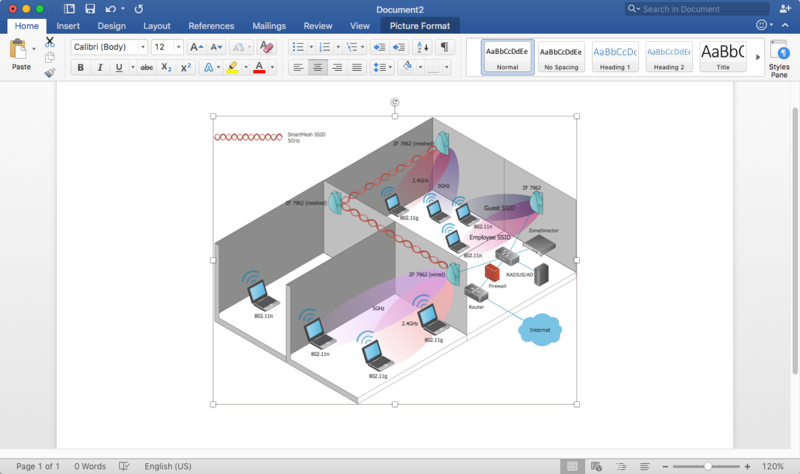 Result: You can easily supplement any MS Word document with computer network diagrams.